At First Team Auto Mall’s Automotive Service Center, our highly qualified maintenance technicians are here to provide exceptional auto service in a timely manner. From oil changes to transmission replacements, we are dedicated to maintaining top tier customer service, for both new and pre-owned car owners. First Team can handle all of your vehicle maintenance needs! First Team’s Auto Service Department has been a trusted automotive repair and service center for over 25 years, serving Roanoke, Lynchburg, Salem, Blacksburg, Christiansburg and surrounding areas in the Roanoke Valley. Auto repair service decisions should not be taken lightly. You want to make sure your car, truck or SUV is serviced by factory-trained technicians using the latest state-of-the-art tools and diagnostic equipment, to save you time and money. First Team’s Automotive Service Center is the answer! (For: Hyundai, Nissan, Subaru, and Volkswagen vehicles) schedule service with one of our Dealership Service Centers. For all other makes, click the button above to scheudle your servie today! Please note for Collision Repair: You cannot schedule collision repairs through our Service Department. Please call 540-362-4800 for an appointment to get an estimate. Once you agree to the work, parts will be ordered and a repair time scheduled. 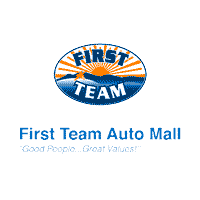 First Team Auto Mall’s Service Center can service any make or model of vehicle, foreign or domestic. We have the latest diagnostic equipment and specialty automotive tools to fix your vehicle right the first time! Never pay for the same auto repair twice! First Team guarantees all the parts we install and all the work we do for the life of your vehicle. Once we make a repair on your car, truck, van or SUV, it’s guaranteed for life! Our Lifetime Parts and Labor Service Guarantee is just one more way First Team offers you added value as part of your Clean Deal Buying Experience, even if you didn’t purchase your vehicle from us.